John’s love for music began at an early age in Pulaski, Tennessee where he was introduced to jazz by Mr. Zettie Murrell. When a guest bassist visited the music program of his elementary school, John was mesmerized by the size and tone of the instrument, but decided to study the cornet because it was easier to carry. Throughout his college career at Tennessee State University, he performed on cornet with the prestigious TSU Aristocrat of Bands with fellow musicians Billy Pierce, Thomas Cain, Rock Williams, Wayne Hill and C. C. Johnson. Although he wanted to pursue music as a major, he was encouraged by family and friends to pursue other career options. He ultimately received a Bachelor of Science degree in Building Construction, a Doctorate of Jurisprudence degree and a national certification in Business and Economic Development. He worked with the State of Tennessee for 37 years during which time he served as a Director within the Department of Economic Development for Tennessee and as the State Director of Title VI Compliance Commission until his retirement. While still working for the State of Tennessee, at the mature age of 32, John decided that it was finally time to pursue his dream of learning to play the string bass. John began studying with Earl Gately (Nashville Symphony Orchestra). Local guitarist, Chuck Schlacter encouraged him and provided him with his first gig at a local club, 325 Union. Ilyas Muhammad was also a strong supporter of John’s dream and allowed him to practice his art at his local jazz club Café Unique. John played string bass with the Easy Jazz Quartet for several years but later decided to start his own group called the Birdsong Trio. In addition to performing at upscale events and conventions, the trio performed at the award winning Sunday Brunch each week at Mere Bulles Restaurant in downtown Nashville for 10 years until the restaurant closed in 2002. Since 1995, the trio has performed at F. Scott’s Restaurant and Jazz bar in Nashville on Fridays to packed audiences. John has also performed with Melba Moore, Hugh Masekela, Paula West, Mulgrew Miller, Ernie Watts, Frank Morgan, Hank Crawford, Dr. Andrew Goodrich, Sonny Fortune, Winard Harper, David "Fathead" Newman, Curtis Fuller, Donald Brown and other extremely talented artists. Since retiring from the State of Tennessee, John has begun taking an increased interest in “honing” his skills in music. In addition to taking courses from the Nashville Jazz Workshop under the direction of Lori Meacham and Roger Spence, he has studied with Keter Betts (bass player for the late Ella Fitzgerald) as well as the late Jimmy Smith. 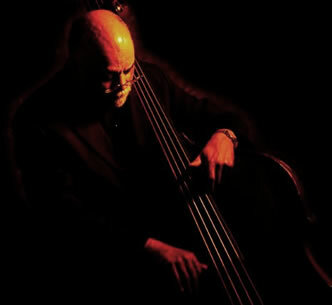 He has taken classical lessons from Ernest Suyge (Nashville Symphony), jazz lessons with Rufus Reid (internationally renown bass player) and sometimes performs as a section bass player with the Trevecca Symphony Orchestra under the direction of Dr. Tim Cierpke. John constantly strives to perfect his art and always focuses on expanding his musical abilities as a musician and band leader. John has recently accepted a request to serve on the Advisory Board for the Nashville Jazz Workshop. John receives strong support for his passion for music from his wife/manager, Michelle Westbrook Birdsong and children, Carlos, Tisola and Alec.